Jyoti has worked in North America and International Markets in cross functional roles to help the organization grow and expand. She has consistently achieved best performance/results awards. Has helped SC Johnson set up businesses in new countries either via acquisitions or new ventures and has helped build talent pool as she is committed to people development. From a personal front, Jyoti truly believes in "giving back" to the world, with her husband she has established a school in rural India to provide education opportunities to under privileged children. 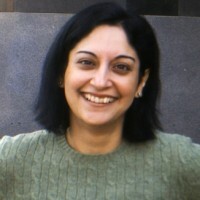 Jyoti is fluent in English and in several Indian Dialects.